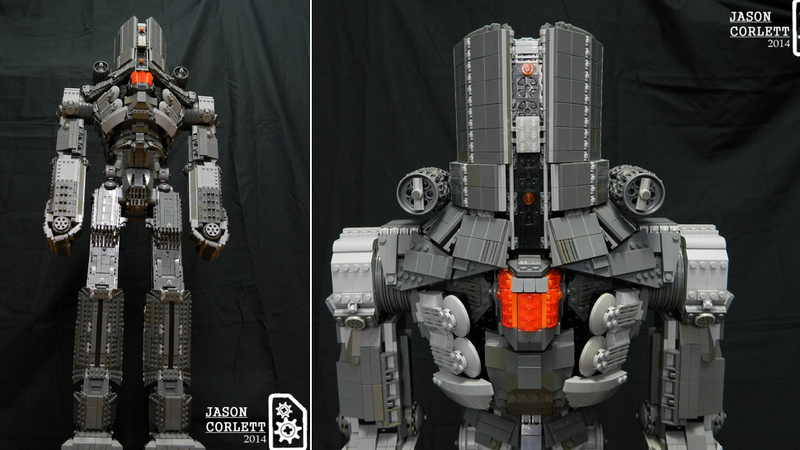 LEGO artist Jason Corlett, spent 70 hours and 5,000 bricks to build Cherno Alpha, an almost 3-ft tall massive Lego jaeger from Pacific Rim. Though my favorite is Gipsy Danger, this scrappy Russian model is pretty badass. This is an impressive build, made more impressive by the fact that it's piloted by drift-compatible minifigs.